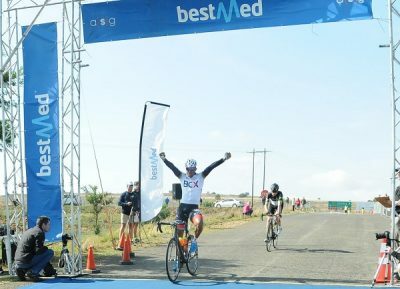 Nolan Hoffman says he is always motivated to prove others wrong and that will be his goal when he defends his title in the Bestmed Satellite Classic cycling road race on Saturday. The 110km feature event near Hartbeespoort Dam in North West Province will see cyclists from around the country testing their fitness on a challenging route which includes the infamous Hekpoort climb towards the end of the race. Renowned as a sprinter, the 33-year-old BCX rider showed he could handle a race such as the Satellite Classic by surging first across the finish line last year. “At this stage of my career I always have a lot of motivation for these sorts of races,” said the Cape Town Cycle Tour champion. “I’m not necessarily the favourite on the bookies’ list, but I like to prove people wrong. “That gives me motivation to do well again and this is a big race in our programme. “It’s a hard route and provides a very good indication of where you are at this stage of the season. Hoffman recently won the Tour de Windhoek and although he said that was something of a surprise, he added he always liked to be in good shape at the start of October. While naturally keen to retain the title, Hoffman said BCX had a powerful unit and they would assess the situation on the day. “All of us will be putting our hands up, but the guys are there to help each other. “We have a young guy like Chris Jooste, as well as Steven van Heerden, so we definitely have a few cards to play. 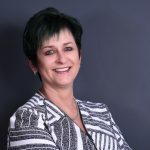 He felt an outfit such as ProTouch, including Reynard Butler, Jayde Julius and Gustav Basson, would provide serious competition and added that officeguru, led by Dylan Girdlestone, could also feature prominently. Carla Oberholzer, riding for Demacon Ladies Team, will also be defending her title and said she was “quite nervous” after a cold winter in Clarens in the Free State. “I haven’t been racing for a while but this is an important event for us because it is a good indicator of your form,” said the SA road champion. With a string of victories under her belt this year, including most recently the Bestmed Jock Classic and the trapNET 360, the 31-year-old said there was strong motivation to do well. She felt that the 4km Hekpoort climb would always be a major factor in the final outcome of the Satellite Classic.